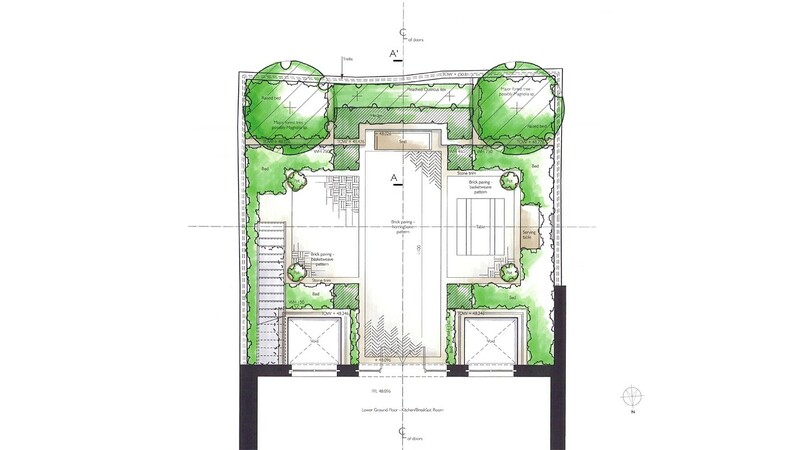 A shady town garden designed to compliment a classic contemporary house. Here large trees, re-planted to meet planning requirements, will shade a mocha coloured paved garden, created in a pattern of small Belgian bricks. Shade loving scented planting and ferns will provide all-year interest.